LSS has received funding from the provincial government to expand a new child protection service, the Parents Legal Centre (PLC), throughout the province. As part of the Indigenous Services Division, the PLCs will have a focus on serving Indigenous people. As the Administrative Legal Assistant/Intake Legal Assistant (ALA/ILA), PLC, you will be part of a team working to assist parents with child protection matters to reach early collaborative resolutions where appropriate. The Parents Legal Centre takes a holistic approach early in the child protection process to help families stay together where possible. The PLC supports parents to resolve not only their legal matter but also the underlying non-legal issues, such as housing or addictions, which often contribute to protection concerns in the first place. Better outcomes may be achieved when parents access legal advice and support at the early stages in their interaction with child protection authorities. 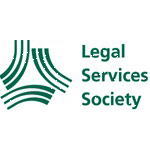 The Legal Services Society (LSS) is the provincial legal aid provider in British Columbia. As a non-profit organization, our goal is to provide legal information, advice, and representation services to people with low incomes in BC. We assist some of BC’s most vulnerable and marginalized citizens: those who do not have the financial, educational, social or health resources to effectively access the justice system when their families, freedom, or safety are at risk. work in collaboration with PLC team (managing lawyer, lawyer(s), paralegal/advocate(s) and other administrative legal assistant(s)) and liaise with other LSS intake assistants. You have completed Legal Administration courses or program, or courses in Law or Sociology supplemented by a minimum of five (5) years of administrative experience in a law environment and one (1) year of intake experience. You have a strong desire to assist disadvantaged clients, including those experiencing family violence or addiction issues, those with low income, or those with mental disabilities. You have an awareness of a community’s cultural diversity, particularly Indigenous cultures. You strive to exceed expectations and are a team player. Deadline for applications is April 25, 2019. The Legal Services Society is committed to building a skilled, diverse workforce reflective of Canadian Society. We are committed to employment equity and encourage applications from indigenous people, visible minorities, women and persons with disabilities. We would like to thank all external applicants for their interest but regret that only those shortlisted will be contacted. The Legal Services Society provides legal aid to people with low incomes in BC. Legal aid includes legal representation, advice, information, and education services. The Society is funded by, but independent of, the provincial government.